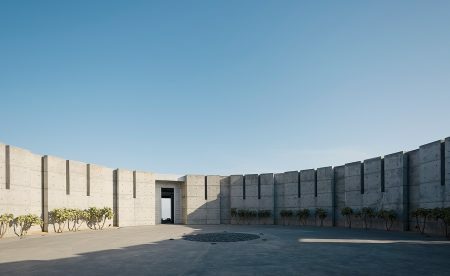 Billionaire Oakley and Red Camera founder Jim Jannard has always had a fetishist’s attention to architectural detail (and design in general) and that’s why it is so entertaining to check out his concrete and metal Beverly Hills, California home featured in Wallpaper Magazine. Though it took five years to complete the house, the outline of the project was sketched out in just a few bold strokes: it would have a high-tech feel, bringing in some of Jannard’s product designers for the all-metal fixtures; it would take advantage of its singular locale, with multiple vantage points looking out to the sprawling urban vista; and, of course, it would be monumental, recalling a certain prehistoric rock formation in southern England. Looks like the perfect place to wait out the days of tribulation.